I work together on a team with my sister Becky Blair. My name is Kim Carlson and I am a REALTOR® and Real Estate Professional with Keller Williams Integrity First Realty in Mesa, Arizona. I am an part of a real estate consulting team that specializing in International real estate. 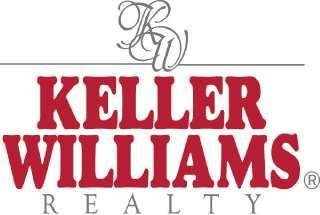 Keller Williams is an International company and real estate business. As a real estate agent this allows us to provide residential real estate services to first time home buyer, real estate investor, real estate buyer or selling a residential home. We have helped client Sellers and help Buyers in Canada, Mexico, France, Saudi Arabia and Ireland. Keller Williams Realty is an International company and now the largest realty company in the World! My international connections and knowledge extends across the United States and into the International real estate market. Clients around the world have relied on my expertise in the global market. I hold GRI®, ePRO®, and CIAS® REALTOR® certifications; I am a member of NAR, AAR, SEVRAR, Keller Williams Agent ALC, Bold graduate and ARMLS; and I have amassed an elite global network of connections. To connect with a leading REALTOR® and tap into a LinkedIn network of over 11,100 connections, contact me today! I am unable to find the words to express how much I appreciated Kim and Becky's help! I originally planned to purchase a home but my plans changed at the last minute, so I wanted to rent/lease instead. Kim and Becky hardly took a breath before they had changed gears and were working on the new direction. Within minutes they had a list of available places, were narrowing it down to suit my needs, and were setting up viewings for the properties. They are fast, adapt on the fly, and are laser focused on getting the results the client wants and needs. The only thing that could have made it better is if they could have gotten it for me for free. Yup, it is a real world and that wasn't going to happen. Of course, I didn't ask for it to be free. Hmm, maybe I should have! They might have found a way! They are that good!